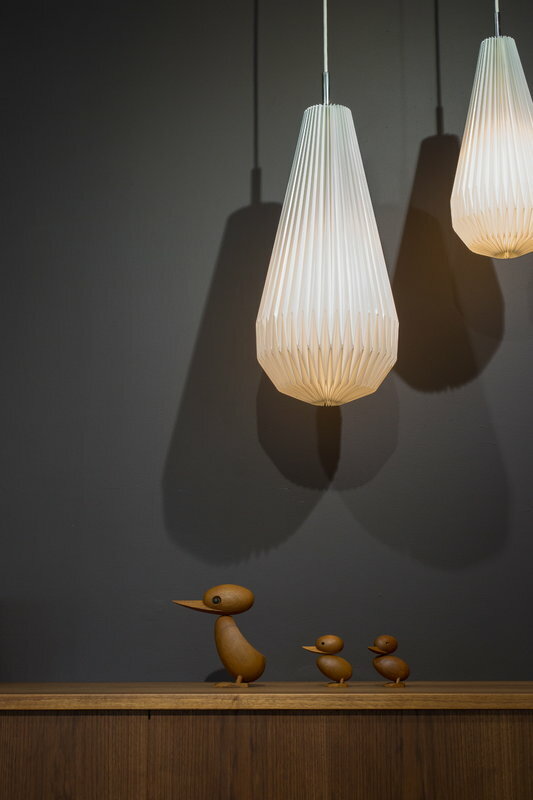 The Duck and the Duckling are a sympathetic duo and they are beautiful design objects alone as well. 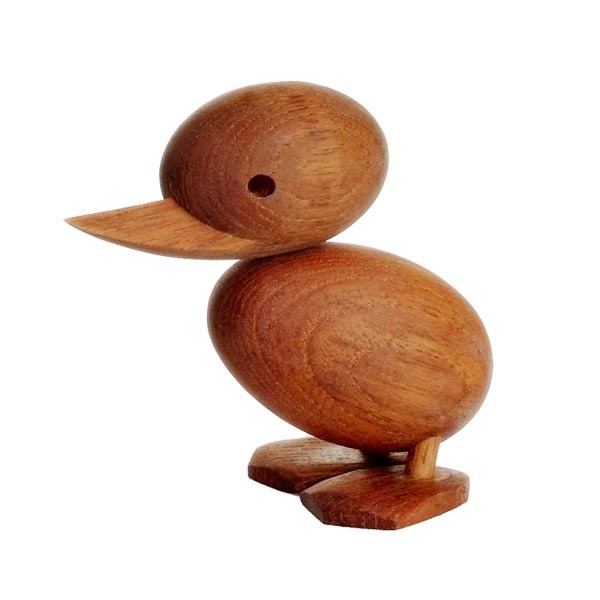 Their heads are turnable, so it is possible to change their expression and posture. 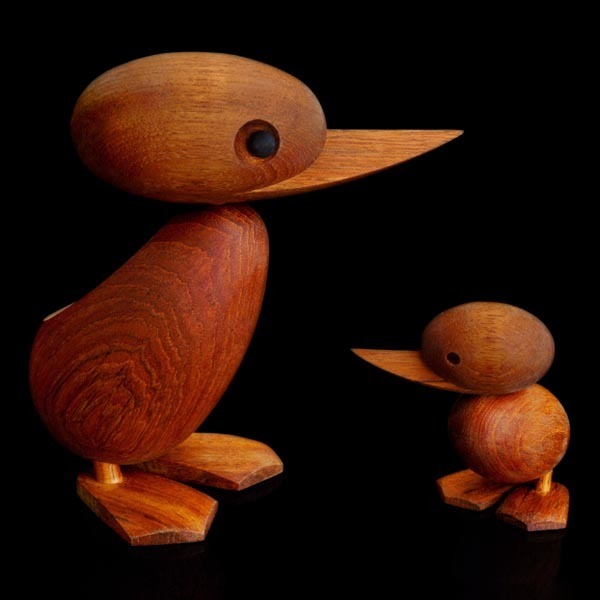 The Duck and the Duckling were designed by Hans Bølling in 1959. 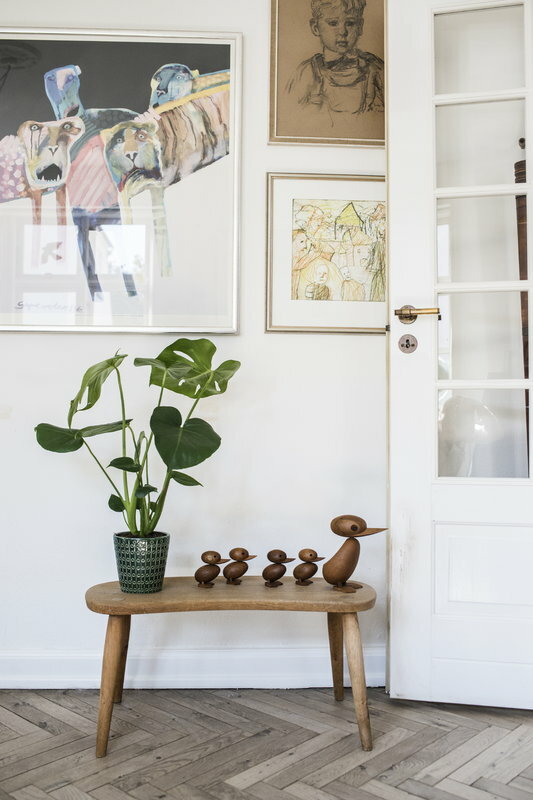 His main source of inspiration was an incident that took place in a part of Copenhagen called Fredriksborg. 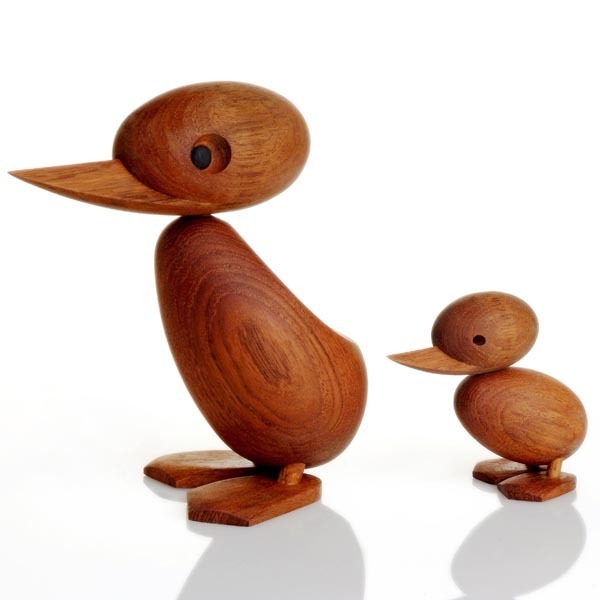 A policeman stopped the busy city traffic when he saw a duck family trying to cross the street. This idyllic moment was inspirational for much of the Danish population, including Mr. Bølling. 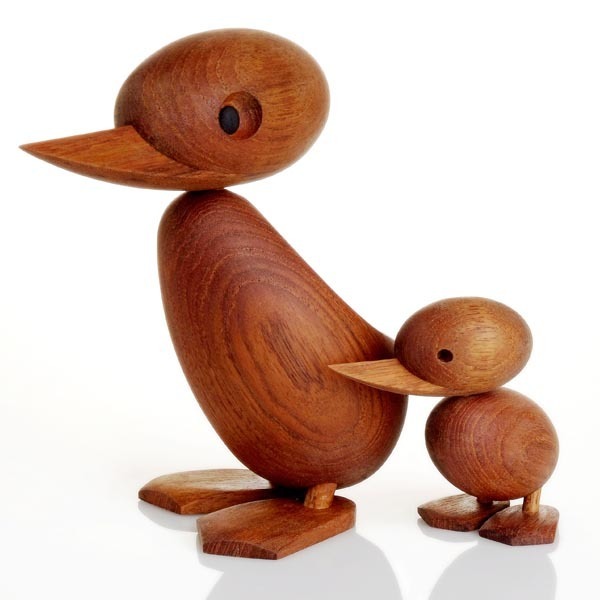 The Ducks are handmade out of teak wood with a clean, smooth finish.